A handbag is a fashion statement and an accessory no woman can live without. In the typical woman’s handbag is her Smartphone, keys, lipstick, wallet, credit cards, ID´s among other critical items. However, the cleanliness of the handbag and these items should make every woman cringe with horror and perhaps understand why so many women have already invested in the most affordable yet hygienic solution; a handbag hook. A Daily Mail research recently found out that poisonous bacteria known as E.coli and traces of faecal matter were found lurking inside women’s handbags. After taking swabs from a number of handbags, the bacteria was found and has been determined as a common cause of bacterial meningitis, pneumonia and food poisoning. At the same time, it was found out that in six mobile devices, especially phones, one has traces of faeces. For every ten credit cards, one was also found to have traces of faecal bacteria or faeces. Placing a handbag on the floor is a source of serious dirt, especially bathroom floors and sinks, which finds its way inside the handbag and right on the table where food and other eatables are placed. If this dirt finds its way inside the mouth of anyone, food poisoning and other serious complications will definitely be the outcome. In another study, 20 percent of studied handbags were found to be dirtier than toilet seats; they had lots of germs than the typical toilet seat. The straps or the handle was also found to be the dirtiest and the most part of a handbag or purse touched by hands. 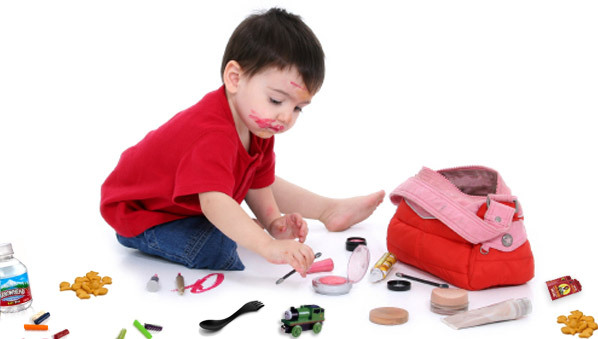 The same study also found out that handbag contents such as face or hand creams topped the list of most contaminated contents closely followed by both mascara and lipstick. It means that if a woman places her deceptively clean handbag on the surface of a desk while eating lunch the implications will be dire. Women must ensure their handbags are clean and hygienic, particularly those working with large organisations and have to attend meetings all the time. This is where a handbag hook comes in handy, a girl’s best pal and a nifty gadget so portable you should never leave the house without it. The handbag hanger discreetly hooks along the edge of a table and allows you to hang your precious handbag close to you at a germ-free distance far from the dirty surface or the table. Even when you visit the ladies room the handbag hook gives you a chance to hang your handbag at a distance from the surface or the wall where faeces and other dirt might find their way into your precious girlie items in your handbag. A handbag hook is the most hygienic accessory that exists for your bag as it keeps it safe and clean, off the ground. Remember a floor or restaurant table might look clean but carrying a ton of viruses, fungi and bacteria. Get a handbag hook of your choice and select a unique style and design that’s equally fashionable and keep your bag clean and far from dirty surfaces that could make you terribly sick; a simple, chic accessory that has your best health interest at heart.